As always our brewery tap room is open every Saturday 11am-5pm with brewery tours running once a month (check ‘open days’ for details). Our tap room sells a selection of delicious local products from wine and fizz to gin, chutney, honey, cider and of course our various bottled ales. Come along and stock up for those chilly spring evenings at home or enjoy a pint or two in our cosy tap room. If you’re looking to enjoy Farr brew elsewhere, our micro-pub, ‘the reading rooms’ on Wheathampstead high street, is open everyday 12am-10pm. From hoppy IPAs to perfect porters, all our beers are brewed with craft and commitment to creating the perfect pint of ale from your first sip until the very last drop. Our beers are available by the bottle, in casks and pressure barrels (a.k.a polypins). If you're interested in stocking our beers contact us here or to find out where to drink Farr Brew go to our stockists page here. 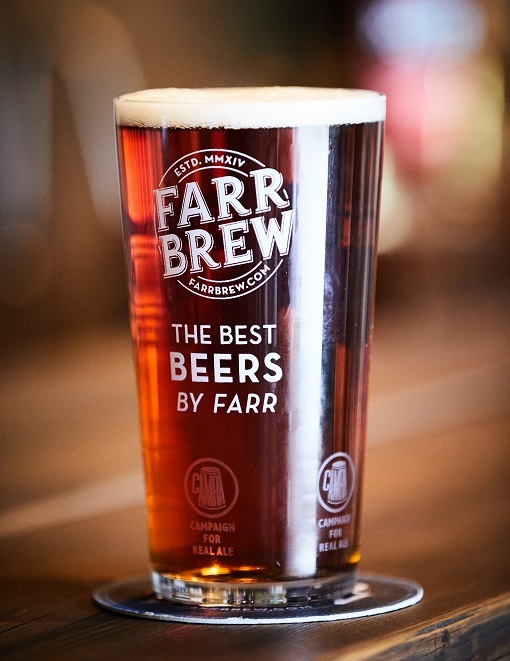 Farr Brew was the first brewery to open in Harpenden for over 100 years. Due to expansion in 2016, we had to move just down the road to Wheathampstead where we offer beer tastings, brewery tours and a fully stocked tap room and bottle shop - all within the beautiful rural setting of the Ayot Estate. Before we were brewers we were beer enthusiasts searching for something different from the same old mass-produced beers, insipid ales and tasteless lagers. Constantly looking for something to challenge our tastebuds. Now we're proud to be part of the real ale revolution sweeping the nation, putting our passion for perfection into each pint we brew ensuring you, our customers, enjoy every mouthful of Farr Brew. If you want to find out more about Farr Brew and the brewing heritage of the area click here.